Simply elegant handmade DINGO knife. High quality steel that will not rust. 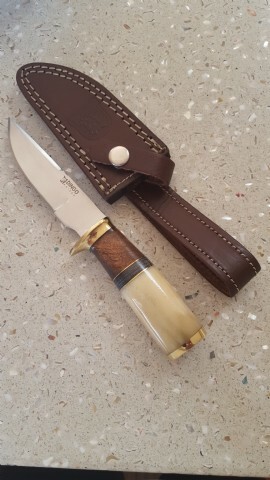 4 inch olivewood bone combination with brass bolster. 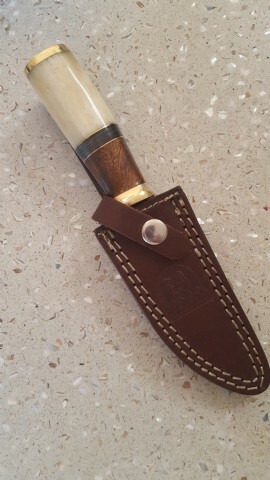 Comes with snug fitting quality leather sheath.